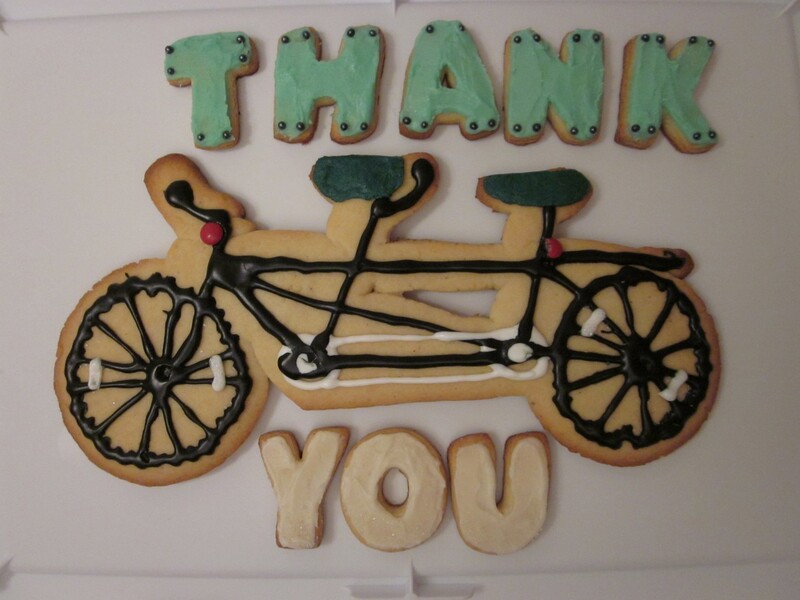 I had a lot of fun with this custom thank you tandem bike sugar cookie! 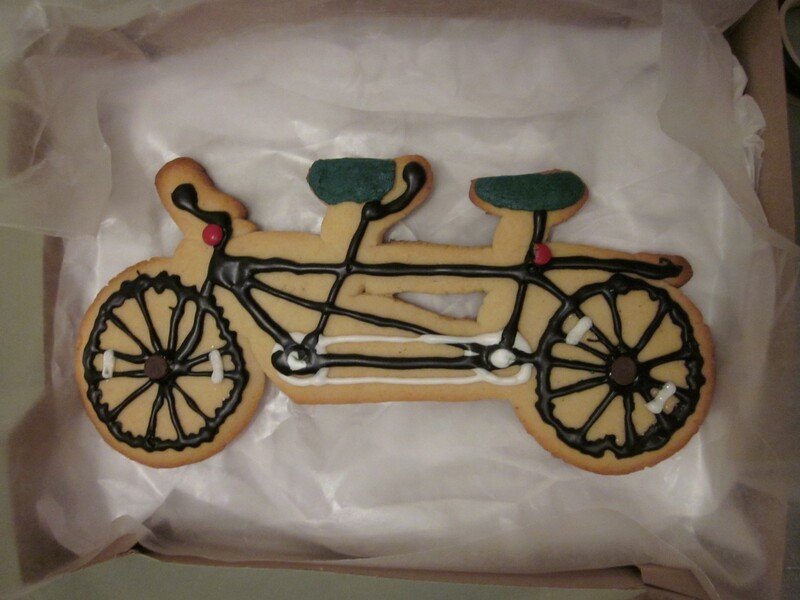 I found a picture of a tandem bike on the internet, printed it out and traced around it on my rolled out cookie dough. 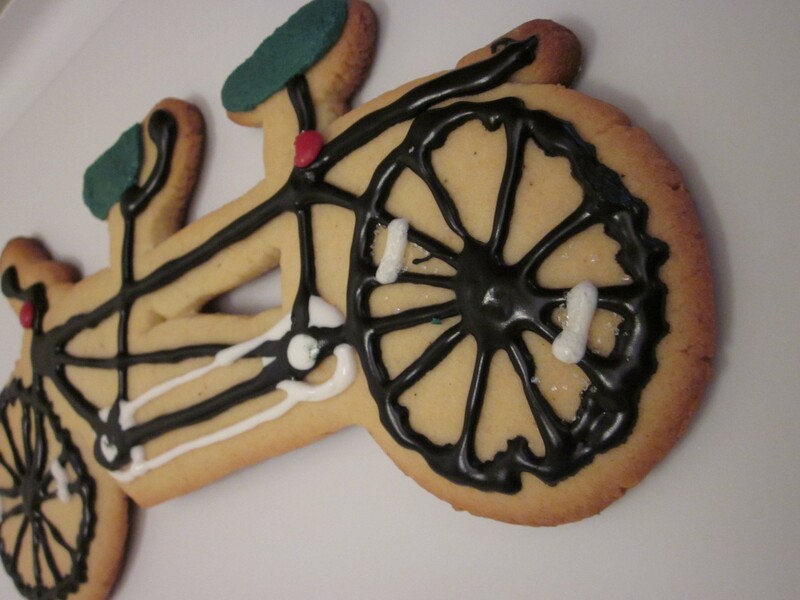 Then customized it with frosting and a sugar cookie message.